On May 31, 1953, 20-year-old Sylvia Plath arrived in New York City for a one-month stint at Mademoiselle to be a guest editor for its prestigious annual college issue. Over the next 26 days, the bright, blond New England collegian lived at the Barbizon Hotel, attended Balanchine ballets, watched a game at Yankee Stadium, and danced at the West Side Tennis Club. This captivating portrait invites us to see Sylvia Plath before she became an icon - a young woman with everything to live for. American Isis is the first Plath biography benefiting from the new Ted Hughes archive at the British Library, which includes 41 letters between Plath and Hughes as well as a host of unpublished papers. The Sylvia Plath that Carl Rollyson brings to us in American Isis is no shrinking violet overshadowed by Ted Hughes; she is a modern-day Isis, a powerful force that embraced high and low culture to establish herself in the literary firmament. Sylvia Plath/ Marilyn Monroe, spot the difference! Read by the critically acclaimed actress Maggie Gyllenhaal. When Esther Greenwood wins an internship at a New York fashion magazine in 1953, she is elated, believing she will finally realise her dream to become a writer. But in between the cocktail parties and piles of manuscripts, Esther's life begins to slide out of control. She finds herself spiralling into depression and eventually a suicide attempt as she grapples with difficult relationships and a society which refuses to take women's aspirations seriously. Sylvia Plath's groundbreaking semiautobiographical novel offers an intimate, honest and often wrenching glimpse into mental illness. The Bell Jar broke the boundaries between fiction and reality and helped cement Sylvia Plath's place as an enduring feminist icon. Celebrated for its darkly humorous, razor-sharp portrait of 1950s society, it continues to resonate with readers today as a testament to the universal human struggle to claim one's rightful place in the world. I've always struggled to finish reading the Bell Jar, but this was disturbingly fascinating. You are treated to Sylvia Plath's words, delivered flawlessly by Maggie Gyllenhaal, perfevt incarnation of Esther. I purchased the book by curiosity. 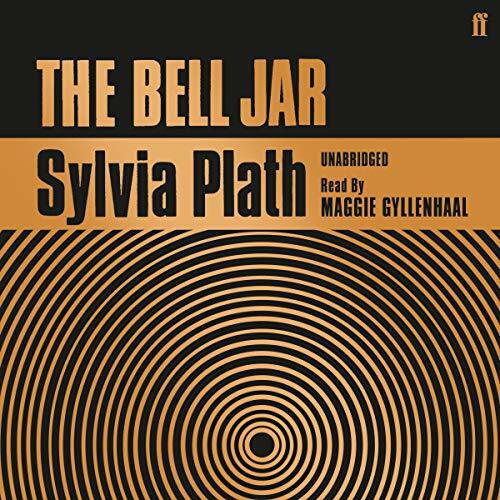 I never had the chance to any of Plath's work before, and I always thought of Maggie Gyllenhaal as a great actress, so I went ahead and downloaded The Bell Jar. There a lightness about the heroine's descent into madness. The narrative is almost a casual chatter describing on despair and disillusionment. It allowed me to take it all in, let it sit, then fully appreciate the richness of Plath's work. The book is an amazing study of the life of a depressed young girl who cannot cope with the important decisions in her life. Maggie Gyllenhaal does a superb job, absolutely perfect. Low intensity, beautiful and well read. Enjoyed the performance and got things to think about. I was surprised by how much I loved this book as I usually stick to non-fiction and reading to gain factual knowledge. However this book surprised me - I'm so glad I found it. Perhaps I connected to it having suffered from depression and anxiety for periods throughout my whole life. I adore Maggie's voice and think she was a perfect match for reading this book. Also the writing was incredibly well done. good quality book and audio book. Plaths book is deep, sad and smartly written. Maggie does a very good job reading it. I finally listened to this novel after so long. It was intense, and raw with emotion. It's as close as I've come to reading poetry, as the genre confounds me. If only Plath had lived into the 21st century. I think she would be both pleased at the progress we've made with gender equality, yet disappointed with how far we have yet to go. I found much in common with Esther Greenwood. But in 2017, it's much more acceptable to be Esther Greenwood. Maggie Gyllenhaal was absolutely perfect as narrator. I was hesitant about this book in the beginning. It starts off slowly in the vapid world of fashion writing. But I quickly became enthralled. This novel is a singular experience, an incredibly relatable story of mental illness in a world that is so often bizarre and underwhelming. 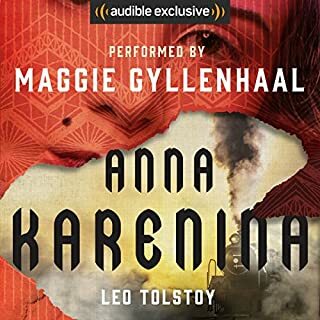 I'm very familiar with this novel but bought on audio as I'm a big fan of Maggie Gyllenhaal, so thought it a nice way to revisit it. Unfortunately, as another reviewer has pointed out, the first several pages of the novel are omitted. All the stuff about it being the summer they electrocuted the Rosenbergs. Baffling, really. Has put me off in case more edits have been made throughout. Classic novel. Great shame to mess with it. As a huge fan of The Bell Jar, I knew from the first sentence that this was not, as stated, unabridged. 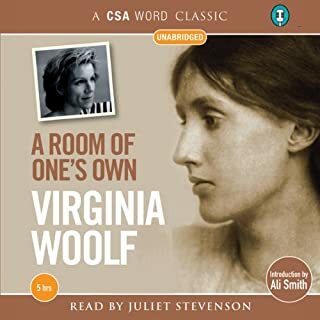 How can an audiobook miss the first few pages of a classic novel and not mention it? Maggie Gyllenhaal does a great job reading it, and Plath's book itself is of course wonderful, but very disappointed at being mislead by Audible/Amazon. Would you recommend The Bell Jar to your friends? Why or why not? I was a little wary of revisiting a book I'd read and loved as a teenager, almost 15 years down the line! 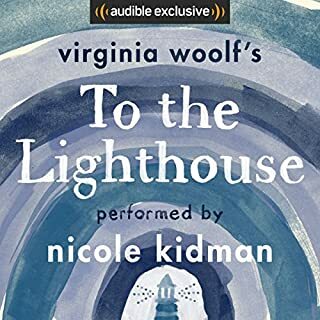 However, this audio edition was a great way to reacquaint myself with The Bell Jar, and I really enjoyed Maggie Gyllenhaal's narration of the story. I spotted that a few of the other reviews referred to the first few pages of the book being missing from the audio edition, but didn't experience this problem myself, which was a relief. I would recommend The Bell Jar for anyone interested in reading more classics or who would like a fresh angle on a book they loved in their youth. This is Canongate's fitting tribute to Sylvia Plath: a sophisticated production of her classic and only novel published in UK in 1963, a month before she gassed herself. This inescapable historical fact inhabits everyone's reading of the novel for the last fifty years and gives the story a haunting and shocking power. The difference between fact and fiction is that Esther Greenwood - who seems to have it all going for her but slides into terrifying mental illness - survives to tackle the rest of her life, whereas Sylvia Plath did not. Despite the best attempts of her long-suffering mother, Esther, feeling trapped under her 'bell jar', disintegrates into attempted suicide and incarceration with electro shock therapy, all detailed in visceral language. The conclusion, however, is positive. Plath's language is a joy, even if her experiences are not. A self-mocking wry humour saves the listening experience from being merely depressing, and her quirky metaphors and similes jump out. The blood - and there's a lot of blood in The Bell Jar - is 'gathering like fruit' from Esther's self-inflicted cut, but most striking is the image of the fig tree which Esther imagines laden with fruit, each fig representing a possible future for her: a husband, happy home and children; a brilliant professor; an amazing editor... But she sits starving in the tree because she can only have one and as she can't decide which one to take, they wrinkled and blackened and 'plopped to the ground'. The narration by New York actress Maggie Gyllenhaal is brilliant. She makes Esther talk directly to the listener conveying the whole heady mix of her qualities: her idiosyncrasies and insights, her ambitions, frustrations, energy, humour - and all her blinding frailties. Maggie does an incredible job of narrating this novel, in fact I fell in love with her narration of this book within the first 10 minutes, it's perfect and I think it summarises Esther Greenwood and the particularly beautiful way Sylvia wrote this book in every way. 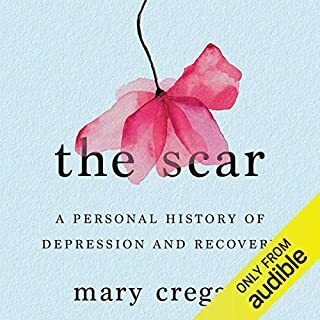 If you're on the fence, definitely buy this audiobook! No doubt about it! It's an important book. It will change your life. Read it! Where does The Bell Jar rank among all the audiobooks you’ve listened to so far? One of my top audible listens so far. I have read the book as a teenager and then again at university, so I know it very well. But listening to it brought it back to life again. Maggie Gyllenhaal's performance is wonderful and does justice to Plath's vivid yet lyrical writing. The only complaint I have is that this recording omits the opening paragraphs of The Bell Jar. 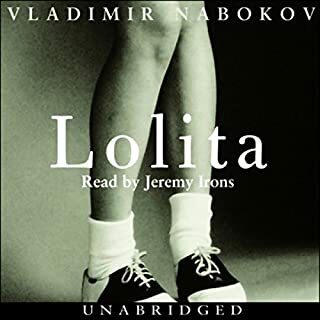 Perhaps the reflective opening paragraphs were omitted to make the audiobook lively and gripping from the very first words but it is a bit of a shame for those who know this book very well. Maggie Gyllenhaal's wonderful voice is an absolute pleasure to listen to. The story itself is difficult to hear at times but it is a testament to Sylvia Plath's writing that you live through every moment with the main character in raw detail. I loved the narration that brought this touching story to life. It is a sad but beautifully wrought story of a young woman finding her way in the world. My first experience of this classic. It's a great story, though I was a bit disappointed there wasn't more closure in the ending. Loved Maggie Gyllenhaal's narration. Yes, I thought the writing and the reading of the book superb. Sylvia Plath's use of language. Her ability to get inside her character and deliver that character to the reader was brilliant. All of them. I found the story flowed right throughout. All people are created equal. Only society deems otherwise. so much said in such a short space. a towering talent. lucky I am to have come upon this incredible text. Enjoyed the performance, thought it complemented the story well. Sped it up slightly while listening to most of it. Sylvia Plath's writing is beautiful and profoundly familiar to me as a young woman. Maggie Gyllenhaal's voice is light and soothing and suits the character well. Read already? Still worth a listen! Firstly this is narrated so well, I love the voice Maggie brings to this book. It has a very sultry 1960's feel (yes, I know that's not an actual thing, it's just how it feels). I read this as a teenager and I'm so glad I have revisited it. It resonates in a completely different way in adulthood. I imagine this was incredibly groundbreaking for its time. 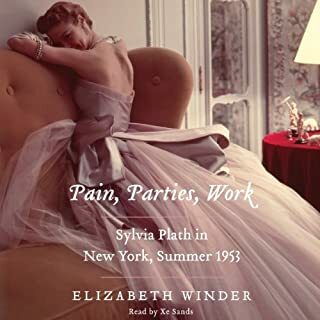 Keep listening at the end for a brief synopsis of Sylvia's life and experiences and, ultimately, her death. The last part of the novel which reflects on how she will know the bell jar won't descend again? Sandlot prophetic, but really powerful. Loved this. Maggie is Esther Greenwood. I loved her narration - A cautionary tale for all of us who sometimes are a little crazy. RIP Sylvia.